This traditional style dates back for centuries! Equipped with a 26 1/8" stainless steel blade with a crisp, black baked finish and smooth temper lines. 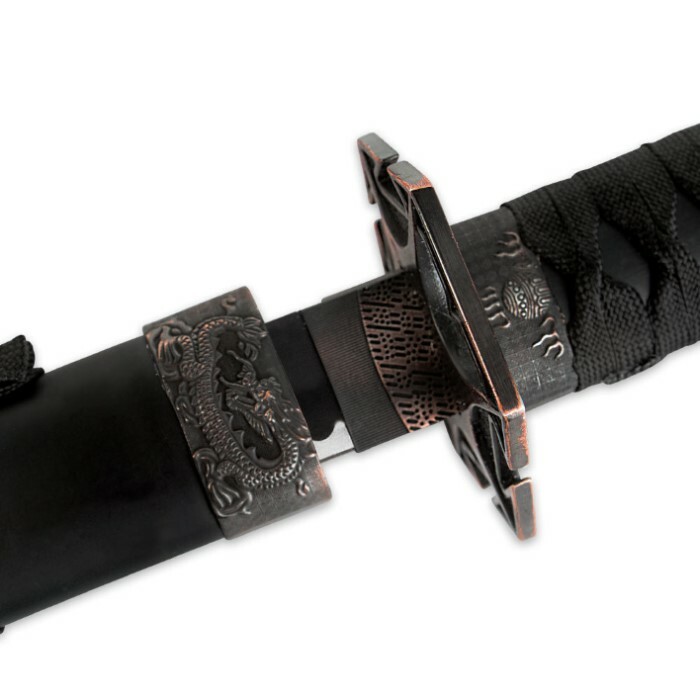 The black nylon cord wrapped grip is accented with ornate manuki and detailed cast metal pommel and guard. 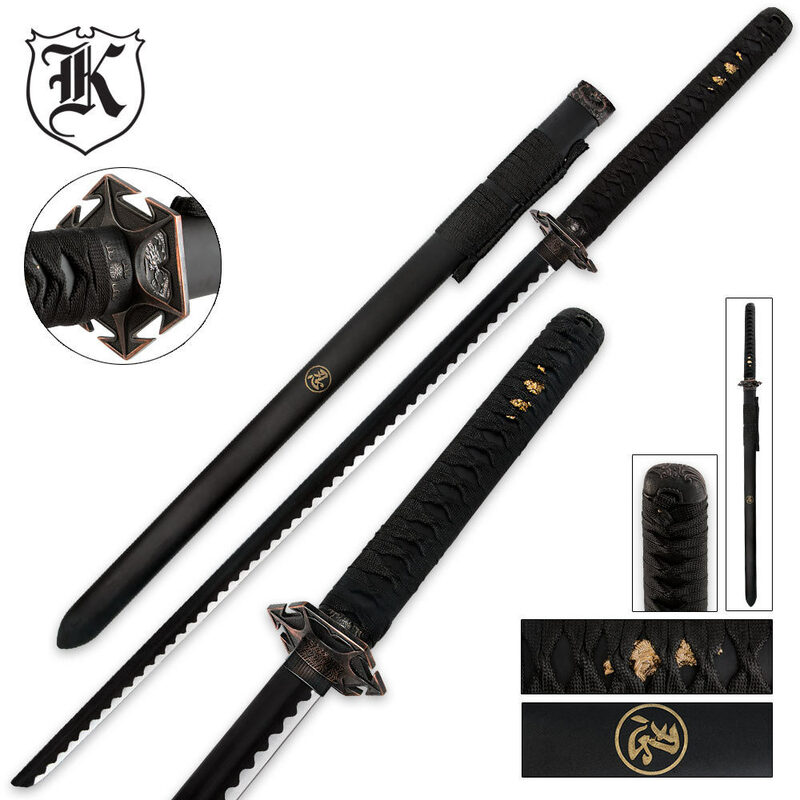 Includes classic black scabbard. 38 1/2" overall. definately not intended for rigorous training. blade bent twice by handle then after that couldnt even do simply figure 8 without it bending. Excellent! Giving it good use for costume and practice. Strongly recommend. This was my first sword it seems very nice and sturdy but it isnt sharp at all so thats a problem. the sheath is nice and it has the symbol. on the hilt there is a nice gold dragon and on the sheath the is a dragon design on the bottom part. It was not sharpened, which was disappointing, but that can be fixed. I hit one thing with it tho, and the blade bent a little. But still pretty good. This is a good blade. The scabbard is a strong high quility polymer plastic. Not the best but not thw worst sword. 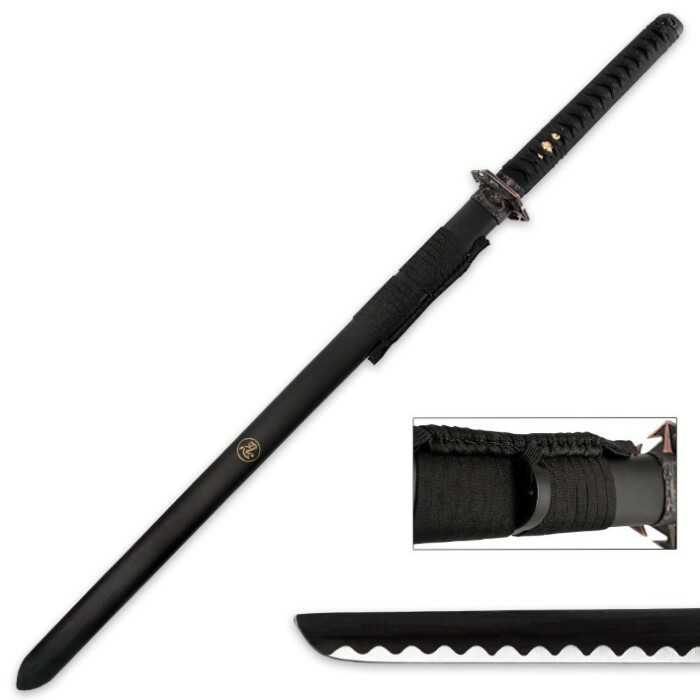 This sword is the perfect first buy. Well, it was for me. Inside the sheath it has wax so that you can keep the blade clean, and every time I use it it looks brand new. For $19.99 there is honestly no better deal. I just got it. The blade is worped in the middle and near the tip. It is lighter then I though it would be but that is a plus. The blades width needs to be a little bit bigger but over all a great sword for my collection.